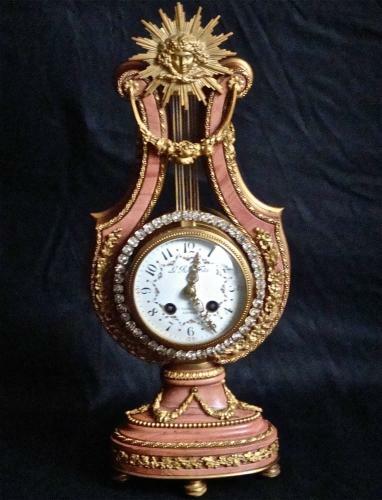 Beautiful 19th century pink marble and gilt ormolu French Lyre clock with paste diamonds and movement by Honore Pons. Circa 1870 in excellent working order. Comes with 12 months movement guarantee.